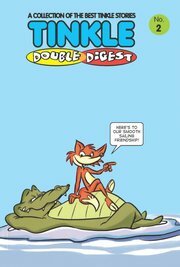 Tinkle Double Digest 2 | GetLitt! Kentaro is gifted a magic slipper that gives its wearer gold coins. When his greedy uncle hears about it, he wants it all for himself. What happens next? Find out in The Magic Slipper.A generous man invites people for lunch, but soon his guests run off to save themselves. Wonder why? Find the answer in The Generous Host.The fearless, beautiful and strong Chandralekha faces off with a bunch of goons as she tries to escape their clutches. Interesting stories, a click away! Start reading now!! 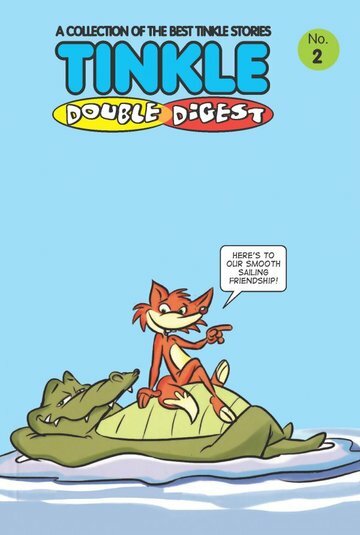 Hi guys, I was introduced to Tinkle from my mom and dad. As I read lot of Tinkle books, it feels so intresting to read over and over again. These books are AWESOME!!! Copyright 2018 @ Writer's Bug Learning Pvt. Ltd.